Do you have a special occasion coming up? We can host it at Asa Ransom House! 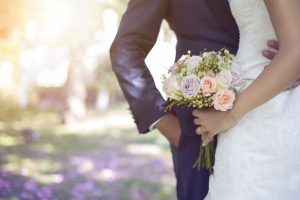 Our Western New York event facility can accommodate a wide variety of celebrations from weddings to receptions, brunches, cocktail parties, and more! The list goes on, and our event space is flexible enough to suit them all. Don’t settle for a mediocre celebration. Make it exceptional at Asa Ransom House! Read on to find out everything you need to know before hosting your event here. When you’re ready, be sure to contact us and get started! 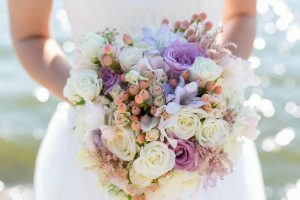 When it comes to your special day, we can help make it perfect from start to finish. Invite your guests and enjoy a small, intimate, outdoor wedding ceremony at Asa Ransom House. 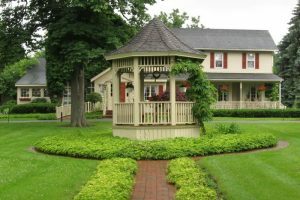 Surround yourself with beautiful gardens and say “I do” near our charming gazebo and pond with a fountain. Afterward, you can continue the celebration with an excellent reception in our dining room! Brunches, Luncheons, Afternoon Tea, and More! We are happy to accommodate more casual gatherings, too! Get your friends and family together for a spectacular brunch in the dining room. No matter what the occasion is, you can enjoy a variety of tasty entrees and homemade cakes from our culinary staff. Guests rave about our garden quiche and mixed-berry crepe combos! For an afternoon celebration, we invite you to enjoy a private luncheon. Our gourmet selections include chicken marsala, Jeffersonian beef, garden chicken strudel, and much more! 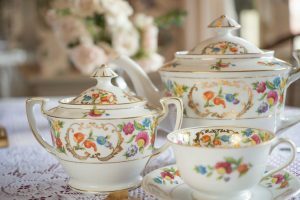 Feel free to invite your guests to an elegant tea event, too! It’s a fantastic opportunity to mingle while sipping on fresh teas and coffees. We also serve your choice of sandwiches, fruit scones, and dessert samplers! Host Your Next Event at Asa Ransom House! Whatever the cause for celebration is, make it truly special at Asa Ransom House. 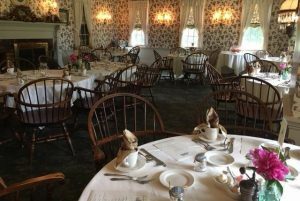 Our charming Western New York inn has everything you need for a remarkable experience. Contact us today to learn more and book your event!